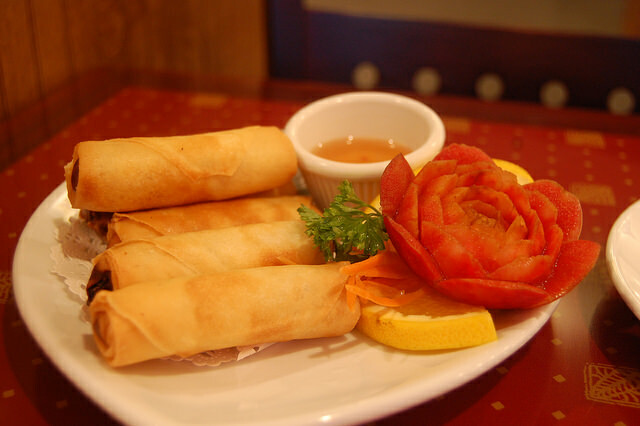 Whether you're in the mood for Thai spring rolls, Japanese sushi, or Singaporean noodles, you can probably find what you're looking for at Red Parrot Asian Bistro. The menu at this Hanover restaurant comprises several East Asian cuisine, so it's equipped to sate all kinds of cravings. Popular dishes include sushi (the salmon here gets especially good reviews), the chicken teriyaki, and panang curry with your choice of meat or tofu. Red Parrot is also well known for its happy hour specials, which include a number of tropically-oriented cocktails (order the "frosted mango" and the lychee martini), as well as deep discounts on a few favorite menu items (sushi rolls are probably the biggest draw, though the crab rangoons are a close second). Whatever you order, be sure you leave room for dessert, because Yelp reviewers say no meal here is complete without an order of sweet mango sticky rice to wrap things up.